"Gamer Grub is FLYING off the shelves.... But since we started carrying Gamer Grub, our Monster sales have increased as well." "I would like to start ordering now!" "Would you be able to get enough Gamer Grub... to us by noon tomorrow?" "We are almost sold out of the PBJ, Pizza will prob go soon." 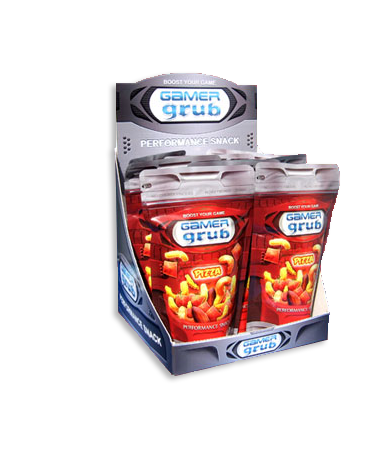 Interested in Stocking Gamer Grub?